When would you use a merchant cash advance? With traditional forms of finance becoming increasingly difficult to access, many people looking at a merchant cash advance. Here are just some of the ways you could use it. A merchant cash advance is becoming increasingly popular for those businesses who need an injection of capital in a hurry. It can help you overcome immediate cash flow problems or invest in the future of your business. Here are some of the most common ways people use a merchant cash advance to its best ability. You can use a Merchant Cash Advance for anything you like. First, you need to understand how a merchant cash advance differs compared to other funding options. As the name implies, this is a cash advance against revenue from your credit and debit card sales. This makes it an ideal option for a retailer or any other business which takes a significant portion of its revenue via card terminals. Providers will make their decisions based on how much revenue you receive. So, for example, if you take £10,000 via your card terminals that might be how much they are willing to advance. The provider will then take a portion of your future card sales until the sum is paid off. It can be quicker and easier to access than a conventional loan and is a good way to get money into your accounts quickly. Here are just some of the ways people use it. Are your premises in urgent need of renovations? If so, a merchant cash advance can provide an upfront cost to help you cover the cost of repairs. This could be a relatively expensive enterprise so you may need to consider a slightly longer repayment term. Some providers will only operate on the basis of either credit or debit card sales, so it could be a good idea to choose one which will consider both in combination to maximise the amount you can borrow. Example a public house needs to be re-decorated for spring, a merchant cash advance for pubs would be a perfect fit. One of the most common reasons people use a merchant cash advance is to cover a short-term cash flow crisis. If you’re struggling to meet your immediate financial liabilities, the consequences for your business could be catastrophic. In a worst-case scenario, you may be forced into liquidation. However, if the fundamentals of your business model are relatively sound – namely that you have a decent flow of revenue – a merchant cash advance may be a perfect solution. This will cover your short-term obligations and help you find the money to stay afloat. This option is particularly useful thanks to the flexible nature of repayments. Because they comprise a percentage of your future card sales, they will rise and fall alongside your revenue. In theory, then, you should only be paying as much or as little as you can afford at any one time. Digital transformation is a fact of life and no business can truly afford to ignore it. Digital technology can create huge opportunities, but you can only take them if you can afford the upfront investment. Unfortunately, this investment could be crucial to your future survival. If you don’t make the change now, your competitors will and this could give them an advantage at every stage of the process. The longer you go without adopting technology to match them, the further you will fall behind. They will be able to get more products to market sooner and at a more competitive price. Over the long term, you may find it becomes impossible to compete. Example : MOT Centre needs the latest diesel smoke meters and decelerometers, a merchant cash advance for MOT centres would work perfectly. The first port of call for any business in need of a capital injection will often be a business loan. Unfortunately, these have become increasingly difficult to access. Unless you have a good credit rating most lenders may be reluctant to work with you. Even those which do will demand a high interest rate in return. A merchant cash advance doesn’t rely on a credit rating to the same extent. This is not technically a loan. The provider is offering you the advance based on your past card sales, and projected future performance. As such, they have a much clearer indication – beyond your credit history – about how safe an investment this will be. A key advantage of a merchant cash advance is the speed with which it can be set up. While you may find yourself waiting weeks or even months for a decision from your bank, a cash advance could be up and running within a day. There are fewer forms to fill in which will free you up to concentrate on other matters. It’s faster, more effective and easier for all concerned. Different merchant cash advance providers will have their own rates and terms. Some will charge higher fees and have different repayment structures. 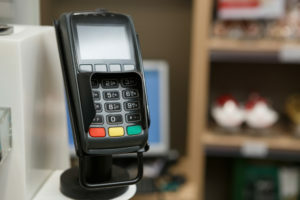 Others will restrict themselves to just credit or debit card transactions. Spend a little time doing some research to find the best option for you. If you feel your business could use the working capital from a merchant cash advance, the process is simple to get started. Simply complete the online enquiry form to get the application under way.